The newest addition to Lubbock, Holiday Inn Express & Suites Lubbock South is conveniently located in the Heart of the Panhandle, just off I27 South, Exit 1. With rich and colorful history, Lubbock has established itself as one of the top business and government locations with Texas Tech University, Siemens, UPS, Monsanto, AT&T and Ericsson in our area.There is so much to see in this Music Crossroads of West Texas . Some of the famous attractions are The Buddy Holly Center, National Ranching Heritage Center, Texas Tech Museum, and American Wind Power Center. There are also places like the Prairie Dog Town, Joyland Amusement Park, Cactus Theater, Buffalo Springs Lake, and Silent Wings Museum that warrant a visit. There is plenty of local dining throughout the city that you can not miss.Relax in your own elegant room featuring stylish d cor and amenities, including free wireless high-speed internet access, executive desk, 32 inch flat panel TVs, and the best nights sleep youve had in weeks. Start your day off on the right note with our HOT Express Start Breakfast Buffet. Enjoy a swim in our crystal-clear indoor pool/whirlpool or energize in our Fitness Center. Polish that presentation in the business center and we even have a 1000sq ft meeting room for your professional meeting. 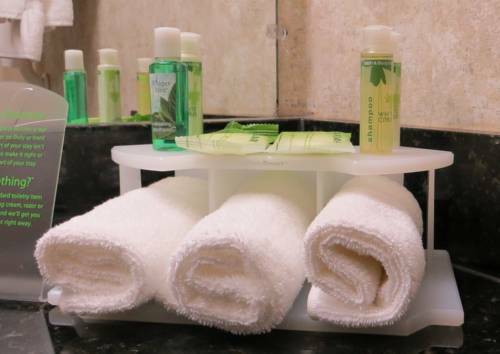 The Holiday Inn Express & Suites Lubbock South is ready with all you need to make your trip a success.